Shine machinery offers this Bhs Mixer in many different sizes and versions. BHS also manufactures complete continuous mixing plants or plant components. The BHS twin-shaft continuous mixer is a powerful, reliable solution for continuous mixing processes, particularly those with coarse aggregates. 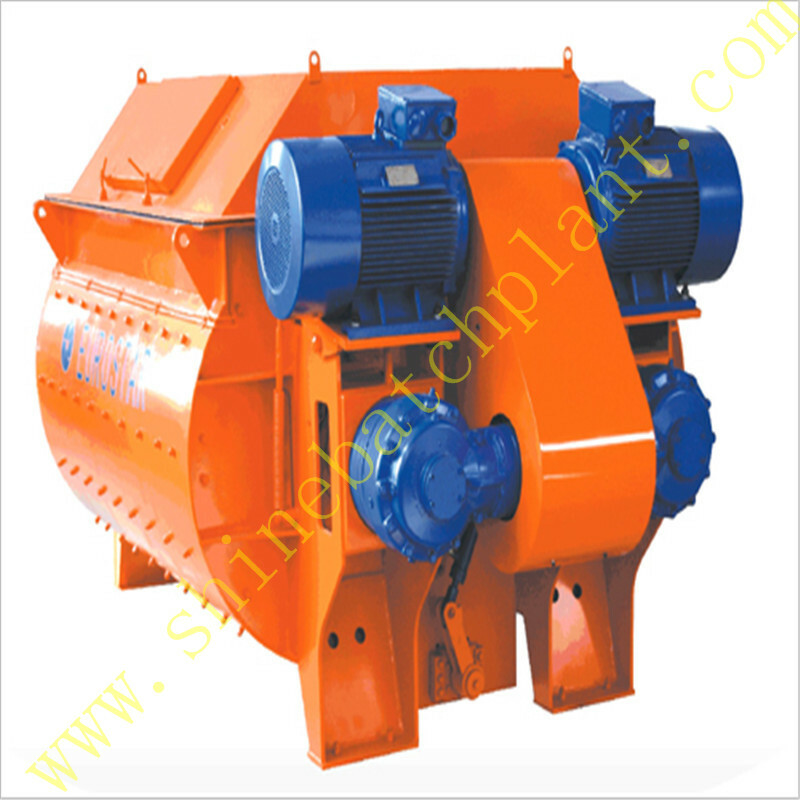 This mixer is especially suitable for producing mineral mixtures, RCC, landfill liners, lean concrete, heavy concrete and dry mixtures, etc. The mixing process in a twin-shaft continuous mixer (LFK) with inlet, mixing area and discharge outlet. The counter-rotating motion of the two mixing shafts as well as the inclined position of the mixing tools ensure an intense vertical and horizontal 3D mixing motion. The material that hardens on the trough walls provides protection against wear. We also offer wear-resistant liners made of chrome-chilled cast-iron tiles or, as an alternative, a rubber trough. This machine features excellent resistance to wear, easy maintenance and outstanding energy efficiency. A: The productivity of concrete Batching Plant ranges from 25m3/h to 180m3/h, the concrete mixer is suitable for Concrete Plant size. Looking for ideal BHS Concrete Mixing Machine For Construction Manufacturer & supplier ? We have a wide selection at great prices to help you get creative. All the Bhs Concrete Mixer Plant For Construction are quality guaranteed. We are China Origin Factory of BHS Concrete Mixing Machinery For Construction. If you have any question, please feel free to contact us.